There are two ways to stream our videos using your Apple TV. Step 1: After you set up your Apple TV box to your TV and have an internet connection, go to the App store and search for Yoga Anytime. Install the app to your Apple TV. Step 2: Once the app installed, open it, and go to the "Account" page on the top tab. 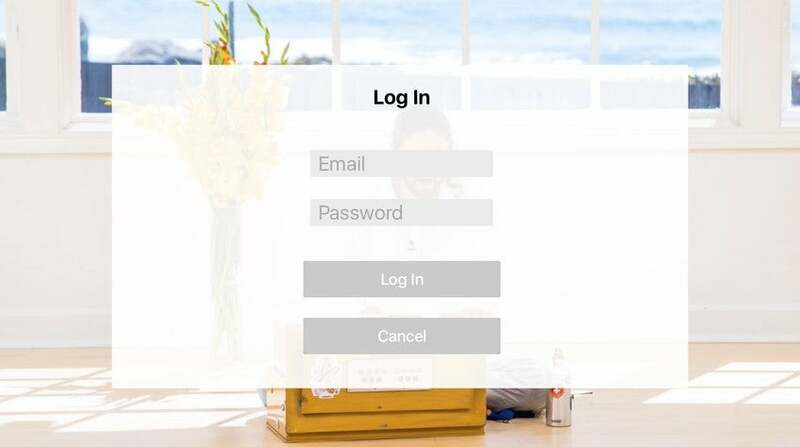 Step 3: On the Account page, select "Log In," and enter in your email address and the password you used to create your original Yoga Anytime account. 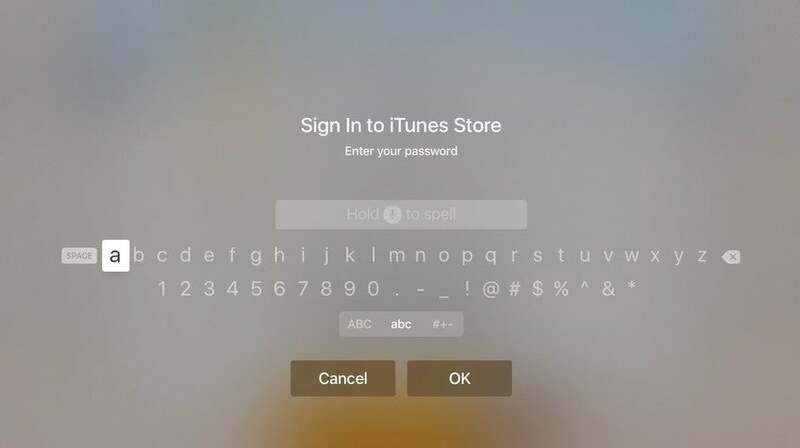 Note that you may be asked to enter your Apple ID if you did not do so when you first set up your Apple TV. 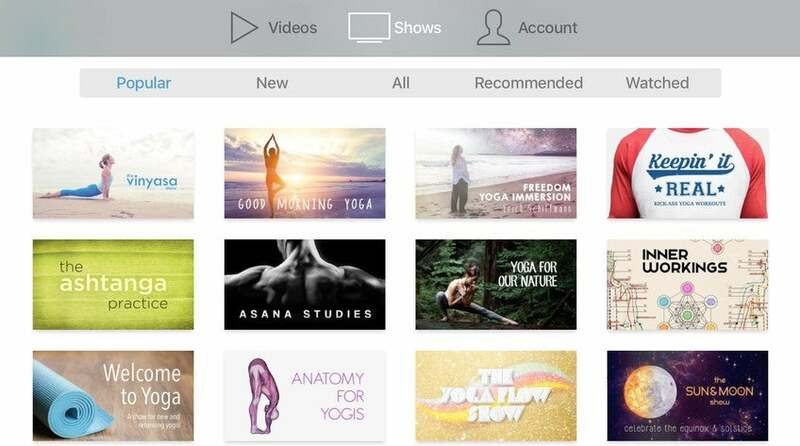 Your Queue: Save a video in your queue from any device using the Yoga Anytime app (including iPad and iPhone) and they will appear in your Apple TV queue. Learn more about downloading our app on the iPhone and iPad here. Filters: There is no search bar in the app, but you can search for any class using filters. Click on any of the three links under the "All Videos" tab (Latest, Popular and Trending Videos) to view the filters. Click the "More Filters' button to search by Instructor, Style, Desire, Specialty, Anatomical Focus, Pace, Prop, or Video Type. Shows: Click on the "Shows" tab to browse through our videos in the seasons for which they were filmed. 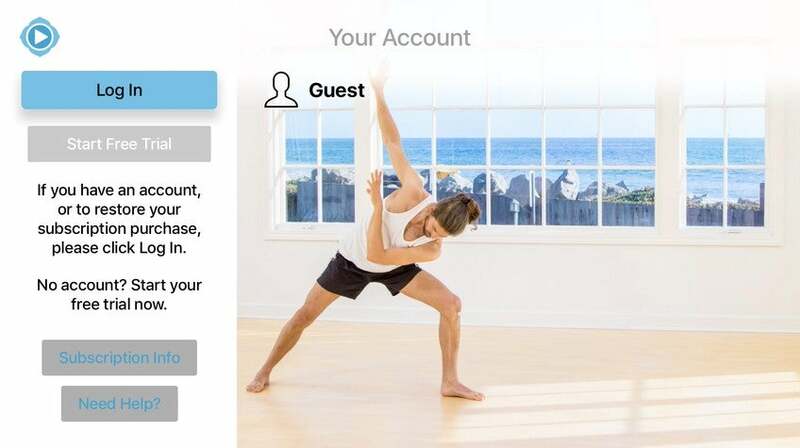 Our shows are curated for specific needs to help you find the yoga practices and progressions that are best for you. We update our shows on almost a weekly basis, so you always have new content to discover.